We are taking a path of nothingness and asking that Allah (AJ)’s Might and Majesty to dress us and bless us. Those are the turooqs in which they inherit, Allah (AJ) is granting them a grant, that whom Allah (AJ) chose for their souls that hidayat (guidance). The greatest of hidayat is what, ‘waliyun murshidun’, (Quran 18:17), that Allah (AJ) in Surat al-Kahf is describing that: there are awliyaullah that are murshids and guides. It is a big ni’mat if Allah (AJ) put us into the hands of these awliyaullah (saints). 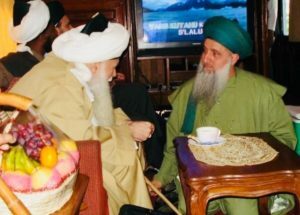 Alhamdulillah, our belief, Sultan al Awliya Mawlana Shaykh Muhammad Nazim Haqqani and Sultan of our heart, Mawlana Shaykh Hisham Kabbani, that these are huge awliyaullah, most powerful on this earth, in my belief. And my belief has opened my heart because of that love. 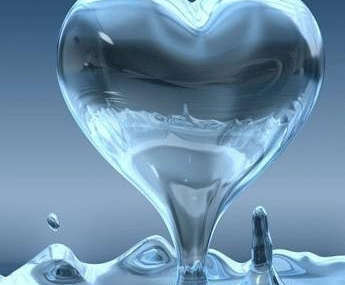 So I can only talk from what I understand and from the understanding that been poured into our hearts. With that love, they come into our life and begin to teach the way of Holy Qur’an and to live in the holy sunnah of Sayyidina Muhammadﷺ. 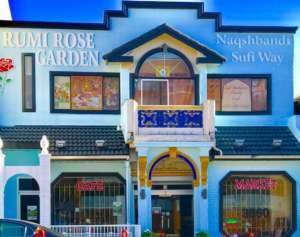 In the way of this reality, there are 11 principles of Naqshbandiya sent by Mawlana Shah Naqshband, that a principle and way of our belief and way of reaching our realities. From Holy Qur’an Allah (AJ) is describing between the relationship of Nabi Musa (Moses) (as) and accompanying Sayyidina Khidr (as). Nabi Musa being far more superior, he is Kalimullah (whom Speaks with Allah) and following a Muhammadan guide Sayyidina Khidr, then is a big test. It is a big difficulty, it is going to require all his training that to accompany Sayyidina Khidr (as) is going to be difficult because of what he knows, Nabi Musa (as). So it’s a path of humility. For our understanding, Allah (AJ) is describing this Sayyidina Khidr is one who attained a rahmah and then, ‘We taught him ‘ilm al laduni, (Quran 18:65)‘ which is very different than the characteristics of today. It means the one whom attained a rahmah (mercy) means all his life was in search of Sayyidina Muhammadﷺ, Rahmat al lil ‘Aalameen (Mercy to Creation), means is Sayyidina Muhammad ﷺ. Allah (AJ)’s Rahmah, when He wants to dress creation with rahmah, He inspire them towards Sayyidina Muhammadﷺ, for all the prophets. 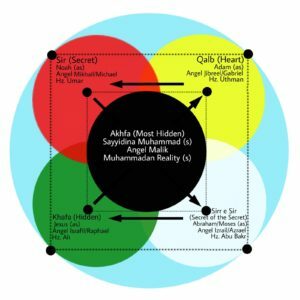 That that Ahmad احمد ﷺ is dressed from ahad احد (The Only Unique One) and Samad صمد (The Self-Sufficient) becomes Ahmad, His Ahadiya reality that is uniquely given to Prophet ﷺ and he is wahid واحد (One): there is nothing like unto Sayyidina Muhammad ﷺ. As there is nothing like unto Allah (AJ), Allah (AJ) is dressing the reality of Nabi Ahmad ﷺ. 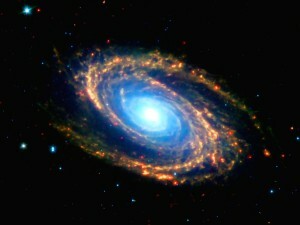 Means that is the name within the center of the nucleus of all power. 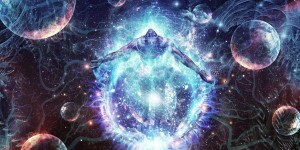 Whether we go into the nucleus of our self or we going towards the heavens and find the Divinely Presence of the heavens, that you cannot leave the circle of creation. So La ilaha illallah (There is no deity but Allah) is outside of this understanding. La ilaha illallah imitation is you imitate by saying ‘La ilaha illallah’ so that Allah (AJ) will bless you to come to the circle. 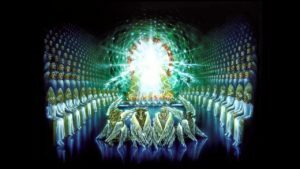 That don’t think there is 3 or 4 gods, that there are multiple gods; otherwise they would be battling in the heavens as 3 people sitting in a room battling in the room. So by saying ‘La ilaha illallah’ is first imitated La ilaha illallah, that come to oneness: come to the realization that Allah (AJ) hu wal Ahad. So then all creation should come to the circumference of creation. Everything exists on that circle of creation. Allah (AJ) is outside of its understanding. 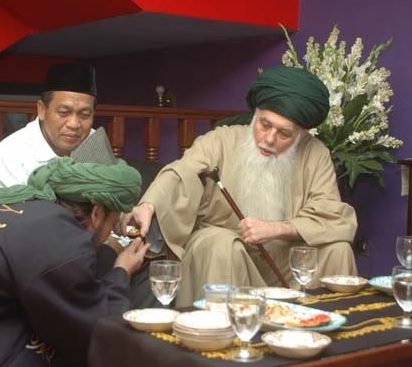 The center of that reality is Nabi Ahmad (as), who is dressed from sifat al Ahad احد and his ahadiya realities. That Allah (AJ) gave that Ahad احد, gave that alif ا that ‘You are ilahi reality’; that, ‘This reality is only to Me and I’m reflecting that upon you and giving you that ahadiya dress,’ which is the reality of the soul of Prophet ﷺ, the reality of nur ul-anwar wa sirat al asrar (The Light of the Secrets and the Secret of Every Light). It is the reality of every light around us. 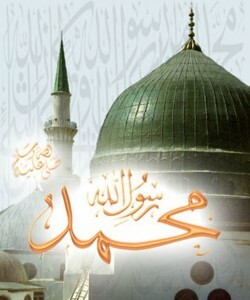 Samad صمد (Eternal Sustainer) because he is sustained by Allah (AJ). Allah (AJ) wants to give a reality, because you can’t say Allah (AJ). So the Arabs, with their background, they say, ‘Oh this is Allah (AJ).’ But no! you cannot contribute a space in which you can occupy with Allah (AJ) because this is the reality of our soul. This is the reality of all creation that in your reality you cannot be one with Allah (AJ). Your dhuriyah, your atom, your lights cannot go back to a place with Allah (AJ)- la sharik (there is no Partner with Allah)! Cannot be shabih, cannot be like Allah (AJ) and cannot breathe and occupy a space with Allah (AJ). Adam akadnana, means even from Hebrew they understood: there is a soul in which we are all existing within that reality. We don’t know our place and our time in, in reference to everything. Where are you right now? Where are we right now? We don’t know if we are on a bush somewhere. There’s a cartoon for the children [who knows who?] that elephant that, he’s got a little of leaf, and there is a whole universe inside there. And that universe doesn’t understand anything outside of it. They can’t imagine that they are just on the leaf and that there’s a huge elephant outside of that. Means in relationship to where we are, we have no understanding of what we are. Only by the virtue of an airplane you are able to go up. As soon as we went up on a plane, we realized: I’m really so small, I’m so majorly insignificant. How can Allah (AJ) see me? At 30 000 feet you can’t see yourself; you can’t see your home. And then now with the, these Hubble spaceships, they take you outside of the whole universe. Our universe is so immense that even our planet can’t be seen. So in relationship to where we are in this creation was not known by the mind. But awliyaullah (saints), they understood through the khashf and through their soul. That when Allah (AJ) opens their soul and their tafakkur and contemplation, means this is not from had (limit) of the head. This is not from the understanding of head and contemplation of the head. But through their tafakkur and through their contemplation, Allah (AJ) take them through the oceans of annihilation in which they attained a rahmah (mercy). Means that he drew close to that presence. 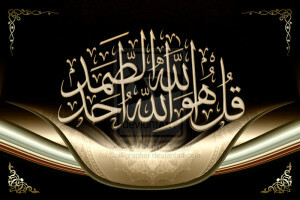 By drawing close to that presence, “wat taqullah wa ‘alimukumullah ( Have consciousness of Allah, And Allah teaches you. )” (Quran 2:282 ) That through their consciousness and through their soul, these lights are immediately beginning to be deposited upon their soul. When we went with the lata’if of the heart, means that you see the yellow, you see the red, you see the white, you see the green, you see the black: this was the old-time projection TV. Anyone who had an old projection TV, there were 5 bulbs. By virtue of these 5 bulbs, they made a television show to appear on a screen. Means that every reality is coming to us by this light. If they don’t sit in front of you and begin a transmission of inferred signal, that light doesn’t open. That is the rule; Allah (AJ)’s free to do an exception. But the rule that Allah (AJ) is giving through Holy Qur’an and the example is through that example of Sayyidina Musa (as) with Sayyidina Khidr (as). By that accompanying, there is going to be a conveyance of knowledge, not from physicality but from soul to soul. So as soon as they begin to sit in tafakkur, they took an understanding to be nothing, to be nothing, to be nothing. In that nothingness, then they begin to make the tafakkur with this source of power. When they understood that source of power, they don’t move left and they don’t move right. There is nobody that can benefit them but that source of power. Everything else is but a distraction. 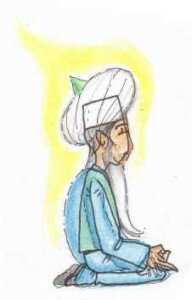 That with their tafakkur and their contemplation, ‘I want to be nothing, I want to be nothing, I want to be nothing. 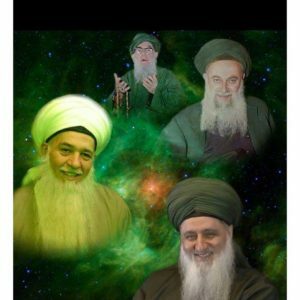 I want to be dressed by your lights, Sayyidi (my master). Dress me from your nazar; dress me from your gaze.’ And that becomes then in front of them that slowly, slowly, the shaykh begin to deposit realities upon their soul. 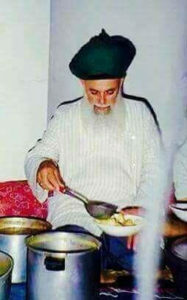 So when they are making their tafakkur and asking to be nothing, to be nothing, to be nothing, they understood then from the teaching of that shaykh that his teaching is your food. His teaching is your food; so you eat from only his plate. And that’s why Allah (AJ) says, ‘They feed you from their sustenance and they love their sustenance.’ They are not giving it away because it’s cheap and it’s free. They feed you, but what were the categories? You had to be miskeen because only the miskeen sees that table. They feed you and all they want – because their translation shows how they cheated people- all they want is WajhAllah. Who wants WajhAllah? Common people? Do they know what WajhAllah is? Do they know what is the Face of Allah? No, awliyan (saints)! They (saints) do what they do to be at the Holy Face, in which Allah is shining upon them from the face of Sayyidina Muhammadﷺ. That face dresses their 7 lata’ifs of their face and their essences. We said it before the 7 essences, al muqtadir, as Sami’ (The All Hearing), al Basir (The All-Seeing), al ‘Aleem (The All Knowing), al Qadir (The Most Powerful), wan Nur (The Light), al Hayy (The ever-living). 7 Essences, 7 flames that were also mentioned in the book of revelation, when John came upon the throne. And he said, ‘I see a king and next to him the lamb.’ The lamb is Sayyidina Isa (Jesus) (as) and the king is Sayyidina Muhammad ﷺ. 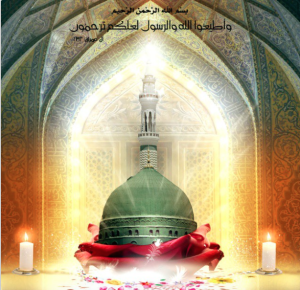 And he called it the emerald throne, like this majestic turban that you are wearing and the beautiful green dome of Madinah. They don’t see that? They don’t read the same book? The emerald throne is Sayyidina Muhammad ﷺ. And he says, ‘He’s not God. I see a king and I see 7 eternal flames dressing him.’ These are the 7 divine Attributes of Allah (AJ) that dress the Holy Face. So then the ayah (verse) of feeding (76:8-9) is not something small as they give you kebabs. By means of that food, they are dressing you with spiritual food because nobody can take the spiritual dress. They even sit like their arms crossed, means I’m blocking my heart. They are not relying on people to be able to take the tajalli (manifestation) into themselves, because it requires a very pure heart to absorb completely that energy. They put the secret in the food, in the ta’am (meal), that whatever you eat, whatever you drink, whatever you do here with them, the secret is in that food. And their character then is from that reality. But you have to be miskeen, means the miskeen are humble. They come, ‘Ya Rabbi, I’m hungry.’ You have to have a hunger within yourself of realities. If you are filled with realities you are like full. They say, ‘Do you want to eat?’ You say, ‘No, no, I ate. Thank you, I ate earlier.’ Means it’s very symbolic of our path. If you’ve eaten, you’ll see nothing for the table for yourself. And this is a table that Allah (AJ) send at every moment for awliyaullah, as He sent 1 time for Sayyidina Isa. The table that Sayyidina Isa had asked for with lots of du’a, lots of request, ‘Send me, ya Rabbi, this table.’ Allah (aj) said, ‘If I send to you and they don’t eat, they are going to be punished.’ But for Ummate Muhammadﷺ, every table that comes down for the turooqs, their du’a upon that is completely angelic. Any food around them, any drink around them has an angelic reality. Those angels say, ‘Sami’na wa ata’na‘ (we heard and we obey), and they deposit the secrets within the soul of that being and they begin to dress them. I said many times, I went to relatives’ house and they complained, ‘Why you have to look like that?’ They stopped inviting me. Say, ‘Oh no, we don’t have to invite him again. He is going to come with that big turban and make us feel embarrassed.’ And they stopped inviting you, you become yateem! The guides are teaching that these are the ways of good characteristic. Those 3 characteristics Allah (AJ) is putting it in the Holy Qur’an, that they are going to feed you. But these characteristics you have to have. You have to be like an orphan, cut off from everything that, ‘I want nothing but to sit at your table. Grant me your nazar,’ and you are waiting. Because all your characteristics will show them if you are ready to eat from their table. They are not handing it out like a soup kitchen for poor people; because Allah (AJ) described, ‘No, no, they love this sustenance.’ These are secrets that they struggled their whole life to achieve. They are not dishing it out because it’s just got too much of it, and they don’t know what to do with it. So the guides are waiting in your tafakkur (contemplation). That’s why they said, ‘I can wait with you a hundred years; either you take your one step, I’ll wait with you and I grab you in the grave.’ But that’s very sad to wait til you get into the grave. Then he begins to teach, means then, ‘Come hungry to my table and eat from my table.’ With all your being, you are moving in his direction. Means we spent our whole life writing all his realities, because that was my eating. I ate everything that he was dishing out: I was writing, writing, writing, writing, all these realities. I was practicing, contemplating, because if you want to know something, you have to be from it. You can’t know it from the outside. You can’t say, ‘I know what that ocean feels like’. You have to jump in! By jumping in you become like a fish; you going deep into it. Means you studied everything he put out; you ate and drank everything he’s doing so that when you are in tafakkur, you are hearing the way he talks. Even when they would change his lecture, somebody would edit the lecture incorrectly, I knew that this wasn’t his words. Shaykh Nazim was more powerful because he had a Turkish type of thing. Some people come and change the word to make it more perfect English; say, ‘Why you are doing that?’ because as I’m reading this, I’m hearing him because his flavour is he’s known and dear to my heart: reading and you hear Shaykh Nazim with like the broken English, when they were transcribing suhbats from Ramadan and from London. But Shaykh Hisham has a flavour. When you hear Shaykh Hisham speak, you read Shaykh Hisham’s articles and his realities that he’s put out, 77 books on everything based on Islam. Means you be eating all those realities, being dressed by all those realities. Then you are telling yourself: I am a captive-a good captive- not a Isis captive because then they read this and say, ‘Oh what are you talking about?’ Means that you surrender your will, the will of the bad desires that always wants to complain, always has a issue. People even come and say, ‘Why you start late? Why you serve food late? Why?…’ All of those reasons is exactly why we are here on this carpet because we have so many bad concerns, so many bad issues, all of those have to be destroyed until that servant becomes nothing. When the servant becomes nothing, nothing, means no more complaint: that what comes, comes; what doesn’t come, doesn’t come. Means they are dressing me from sabr. When they dress me from sabr, I am dying in this world because you begin to lose the taste of everything. It is a very hard path, that you constantly battling yourself, battling yourself. The suhbats that you hear and the time that you spend in his presence begin to crush and to crush and to crush until you feel yourself, your energy point is going down. Because the active energy means that you are too active. That energy will be brought down to where to reach a 0 point energy. Means as if you are like dying on the horizon and become now a state of mawt al qabl al-mawt (dying before death), that the desire for the material world has left you. We went through so many testings for 15 years of traveling and companionship and all the crazy people around. 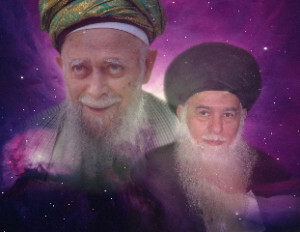 The shaykhs are cleaning you. The Shaykh says, ‘When I want to polish people I put them in a bag and I shake the bag.‘ You shake, shake, shake, shake, shake- what happens? These rocks just smashing each other all day long. There were many times in our life, very big testing, continuous testing: smashing, smashing, smashing. With all of that smashing, then something will come out shining; by means of, of each of these stones hitting each other, they are taking away all the bad characteristics. By doing that, then the shaykh is bringing that person down in their energy, down. As soon as they become down, they are entering into mawt al qabl al-mawt that the flavour of everything has gone. Only at that point then they can begin to send their lights. Because everybody is excited, ‘Oh I got so many things to do Shaykh. I got some businesses and contracts and okay, I’ll meditate 2 minutes. Oh, ok, ooooh, I gotta go, bye bye.’ That’s not going to happen. It’s only going to happen when the taste of everything has gone. When the taste of everything has gone and gone, then that student begins to make their tafakkur (contemplation) and begins to feel the dress of the shaykh dressing them, blessing them. Filling them with these lights, filling them with these realities, until they can keep those lights. As much as they can keep the light of the shaykh, then the shaykh is entrusting him with those realities. He begins to dress him from his realities, bless him from his realities. We pray that Allah (AJ) dress us and bless us. That we move from 1 reality and went into different direction. That we started with Sayyidina Ahmad (alayhis salaatus salaam), that to reach to the reality of that nucleus, its Ahadiya Samadiya dress that is dressing all creation. Means that they wanted to attain the rahmah of Prophetﷺ. 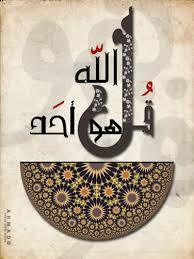 By attaining that rahmah is conveyed through these awliyaullah. They carry that reality of Prophetﷺ. They carry the Maqam al-Mahmoud (Station of Praise) and they carry the Muhammadan dress. These are the dresses of the reality of Prophetﷺ. From the Nabi Ahmad (alayhis salaatus salaam) is the center of all power, dressing ahadiya Samadiya dress. That Ahadiya Samadiya dress is the dress of our soul, it is the reality of our soul. Our soul is a drop from the drop of the soul of Prophetﷺ. Means that our reality is from the reality of Sayyidina Muhammadﷺ. 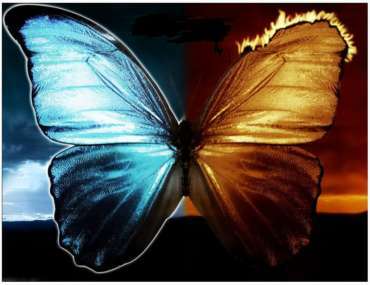 As much as we purify it and sanctify it and dress its light, it begins to understand its origin. That’s why the zikr (Divine’s remembrance) and mehfils (associations) are so important. That’s why the Durood-e-Shareef (praises upon Prophet (s) and the Milad an-Nabiﷺ (celebration of Prophet ﷺ’s Birth) is so important. The Milad an-Nabiﷺ, its secret is that when they come into our life and teach: your soul is a drop from, Abu Arwah (Father of Souls), who is the universal soul for all realities, for all creation, that your soul is a drop from that light. As soon as you make Milad an-Nabiﷺ, what are you doing is you are celebrating your birth because your birth is from that birth. If not for that birth you are non-existent. 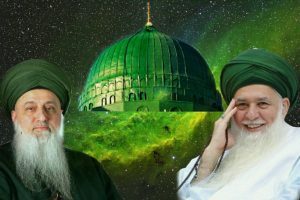 As soon as you celebrate and acknowledge and make Mawlid an-Nabi, your entire reality, as if your light is coming to life, coming to where its origin and begins to understand its origin. So we said before that 1 cup and 1 cup is always 2 cups because this is the world of form. So what we described of the meditation and contemplation was to destroy the form. 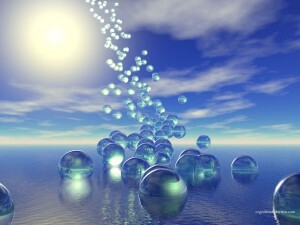 If there’s no form, then it’s just the ocean of light, which is symbolic of the water; so 1 drop, 2 drop, 3 drop- it’s still 1 ocean. Means this is the ocean of Muhammadun RasulAllah (AJ)ﷺ . As soon as we make Mawlid an-Nabiﷺ and take a path of crushing the form, crushing the form, crushing the form, your drop goes back into the ocean of Prophetﷺ. That ocean is Bahr al-Hayat (every-living) that ocean is the ocean of all realities. If your soul is dressed in this ocean and begins to teach you of this ocean. Means every reality is in the reality of Prophet ﷺ. That’s where they are taking us. We pray that Allah (AJ) open for us more and more and that they dress us from the lights of Mawlana Shaykh’s heart and give us the ability to keep our focus and keep our understanding, to do the tafakkur because it’s not easy. That Allah (AJ) has to send us support, that shaitan not to distract us left and right, and to move into their reality and in that reality, Mawlana Shaykh to dress us, bless us and take difficulty away from us and present us to the holy presence of Sayyidina Muhammadﷺ.